The Defence Headquarters (DHQ) Saturday called on the public to disregard the “campaign of calumny” by some members of the public against the Nigerian Army’s medical outreach, stating that it was an integral part of its mission to advance national security. The DHQ was responding to widely circulated rumours that the monkeypox outbreak in parts of the country was linked to its recently announced and undertaken medical outreach, particularly in the South-East region of the country. 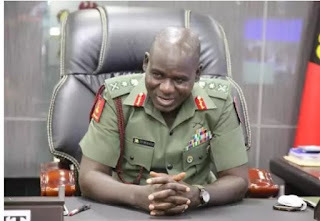 A statement by Major General John Enenche, the Director of Defence Information, read, “The armed forces of Nigeria have been in the global best military practice of impacting on the lives of Nigerians through medical outreach. “In this regard, quick impact medical outreaches are usually conducted during deliberate operations such as the war against insurgency and terrorism in the North-East and routine training exercise like Egwu Eke II in the South-East among others. “Thus, Nigerians should be assured that, the armed forces of Nigeria will continue to carry out their all-encompassing constitutional responsibility of ‘national security’ of which health security is inclusive. “From the above, and in specific terms, the campaign of calumny against the Nigerian Army regarding the outbreak of monkey pox should be disregarded”.